It is finally November and that means one thing, the free for all shopping of Black Friday, the date of this chaotic event is Friday 25th November 2016. Now, for our American readers this date has long been a tradition following Thanksgiving to cash in on some outstandingly generous bargains. However, Black Friday is a new retail phenomenon for the Brits and it has rapidly become an important date in the retail calendar. So what is the attraction? As Black Friday rapidly approaches I have decided to look at what makes this one event so important in the retail calendar. Within the U.S, according to the National Retail Federation, the average annual increase is 2.5%, thanks to the steep 4.6% decline in 2008. Prior to the 2008 financial crisis, the 10-year average annual increase was 3.5%. As the American spending annually increases and increases it seems the Brits are not too far behind. Asda, a subsidiary of the American firm Walmart, imported this holy day for bargain hunters in 2013. This prompted Retail Week to label it “simply an Americanism, which doesn’t translate very well.” Huge crowds gathered, sprinting up and down aisles, some wrestling one and other for the cheap electronics as if their lives depended on it. This prediction was disproven, it doesn’t matter if you’re American or British, no one turns down a bargain. 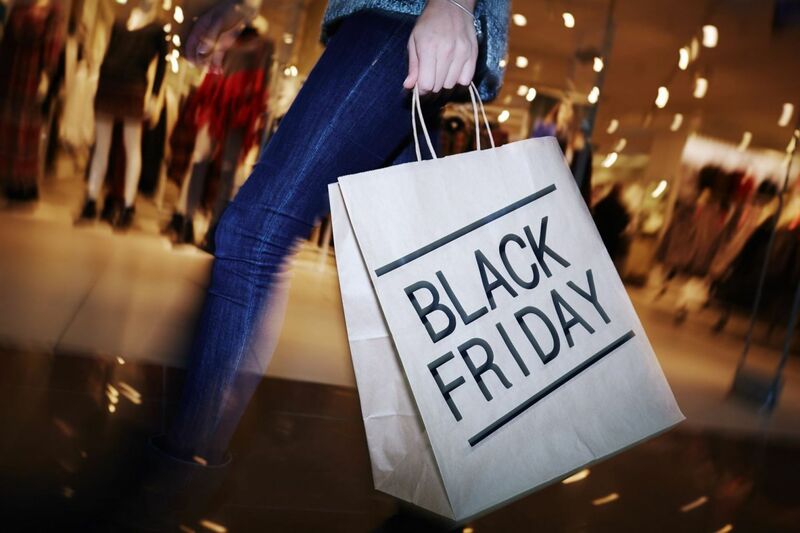 It is not surprising given the consistent rise in spending on Black Friday in the US last year shoppers spent a record-breaking $4.45 billion, this astonishing amount is expected to rise once more and Black Friday will once again seal itself at the pinnacle of retail spending. Now, in the U.K, it has become the biggest shopping day with approximately £2bn spent in shops and online in just 24 hours last year. This is, much like the Americans, expected to rise once again and continue breaking records. However, the ever evolving world of retail has meant that Black Friday has shifted to largely an online event. Many shoppers have seemingly had quite enough of the carnage of personal shopping and have, I would say wisely, decided to shop from the comfort of their homes. The UK has seen online sales go up by 36% year on year to £1.1 billion on Black Friday 2015. These figures paired with the Fortune figures for e-Commerce in 2015, American shoppers spent $2.72 billion online last year, and this figure is up 14% from 2014. This quite astonishing amount of money spent online highlights a trend of shoppers preferring sofa shopping. So what does the future of Black Friday look like? It will remain on top of the list in the U.S and it will continue to dominate, whether it is online or within the shops. Now within the U.K I hear you ask? Well, this time last year U.K politicians urged retailers to boycott Black Friday but this year there hasn’t been a peep from those in Westminster, Black Friday has fought its way onto the U.K list of key events in the calendar year for the British consumer. The popularity of Black Friday is also increasing across the world. These countries include: Germany, New Zealand, South Africa and India. India in particular have been seduced by Black Friday, the reason for this is the growing number of e-Commerce websites. According to Google Trends, the interest for Black Friday is rising every year. Comparing the search volume of the term Black Friday in November 2014 and November 2015, the increase is almost 50% 22,200 is the search volume in November 2014 and 33,100 is the search volume in November 2015, according to the Google Adwords. Now, you turkey-bloated people have the option to take advantage of Black Friday with your feet up, relaxing in your living room, it will be another bumper year for the madness of shopping on Friday 25th of November.